Why is corporative culture a strategic advantage? In the modern business scenario characterized by hyper competitiveness, corporate culture can really represent a strategic advantage. According to the Forbes review, this would be the only advantage that is truly sustainable over time. They can copy your product, your manufacturing process or get it very close, make your service obsolete by inventing a more innovative one. They can even attract the best workers in your company by offering them a more attractive salary, but what they will never duplicate is your culture. Why cannot culture be duplicated? The culture of a company is defined as the set of values ​​and beliefs that are established and that are shared by the workers, also including mentality and social models not necessarily declared. The Harvard Business Review states that strategy and culture are among the most important resources available to leaders to ensure organizational feasibility and effectiveness. A valid and successful culture manages to mobilize and inspire, to align behaviors, provides clear guidelines not only on the objectives, but also on the processes and methods necessary to achieve them through shared assumptions and group norms. Cultural values ​​therefore represent an important reference framework when decisions are needed from all organizational units and on all organizational levels. Shared values ​​provide a sense of coherence, cohesion, and determination throughout the organization. It is easy to say that culture and leadership are intrinsically connected. The corporate culture strengthens the identity and image of the brand and maintains the best talents. Turnover is expensive. It is estimated that the costs of hiring and training a new talent can be estimated up to 3 times the initial pay of the employee. It is therefore important to operate on two levels: hiring and environment. Regarding the recruiting process, beyond the skills and abilities of a candidate, it is necessary to take into consideration the potential cultural fit, that is the compatibility of the candidate with the corporate culture. Emotional factors such as feeling satisfied, integrated and happy in the work environment have benefits in terms of performance, as the individual is more likely to contribute through their skills and abilities to the success of the organization. In order for this process of full personal satisfaction to take place in the workplace, it is necessary that this represents a dimension in which the worker feels satisfied and secure. And it is on this level that corporate culture comes into play. Focusing on building an excellent work environment – that is, a place where people trust managers, take pride in the work they do, feel professionally satisfied and have fun with their colleagues – create an environment that employees they will be less likely to leave. Since 1987 Trace Software International firmly believes in people, as one of the most important assets for the company. Some of the company’s values ​​include the importance of creating an energetic, fun and collaborative work environment where talents can truly feel encouraged and stimulated. 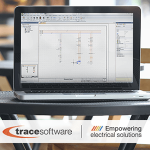 Enjoyment and learning are two key words in the culture of Trace Software International. Enjoyment because we believe in wellbeing. We trust that our talents can contribute to the company’s success if they feel comfortable in the workplace. Therefore, we promote attitudes of flexibility that imply a pact of mutual trust and respect. Learning. 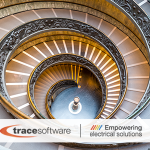 Trace Software International is dedicated to the technology of software and since the rhythms of technology are very fast, it is essential to possess a flexible and curious attitude, full of initiative and willing to explore new forms of doing things. The international character of Trace Software International implies that teamwork, trust and respect are essential for engaging and retaining talent, but also for stimulating creativity and exploring new challenges. Recent studies consider Emotional Intelligence (EI) as a real business differentiator in the next future. The leaders of the future possess great skills and abilities at the social level, in the management of relations and human capital. They are great communicators, truly receptive individuals, skilled motivators, empathic leaders able to create an optimal culture for the success of the organization. https://www.trace-software.com/wp-content/uploads/2018/02/why-is-corporative-culture-a-strategic-advantage-by-Trace-Software-International-blog.png 300 500 Rossana https://www.trace-software.com/wp-content/uploads/2015/04/logo-home-ts.png Rossana2018-02-08 11:03:322018-02-08 15:08:17Why is corporative culture a strategic advantage? Digitalization in the construction industry in Italy Why is Product Lifecycle Management so important?